No, no, no... it's not going to happen. Jeff Carter will not be traded. So we have heard countless times from the Carter camp and even the Flyers. 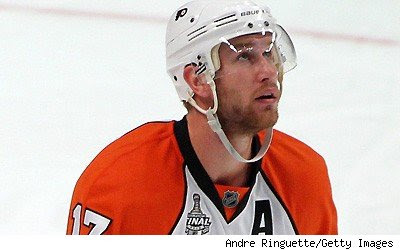 Today, Jeff Carter was traded to the Jackets in return for Jakob Voracek, the 8th Overall selection of the 2011 NHL Draft, and a yet undetermined Third-round pick. We will update the story as more info comes in. I specifically like hockey because I'm interested to new york lacrosse games. And I'm a big fan of Carter too.